Families have change in the last several decades. Official figures show that cohabitating couples with and without children are the fastest growing family type in the UK. Today, it is very common for a couple to live together before marrying and it is more common than ever that people live together and never marry. While cohabiting certainly has its benefits and is considered to be one of the best ways to ‘test out’ a relationship, very few people have an awareness or understanding of the legal implications of living together. Society has moved on in respect of cohabitation but unfortunately the law has not and it does not recognise in any meaningful way marriage or Civil Partnership. As a result, couples that live together do not have the same rights as married couples and may have very little legal protection in the event that they separate, irrespective of how long they have been together. Common myths such as the Common Law Wife or the Three Year Entitlement, will not assist any non-married couples. In England and Wales, when married couples or civil partners separate both parties have a legal right to a share of the assets and in some cases the maintenance. The Court has a complete discretion under specific marital law to consider all of the circumstances and the history of the relationship and the welfare of any children in order to conclude a fair division. Cohabitating couples have no such rights regardless of the number of years they have been together and whether or not they have children. 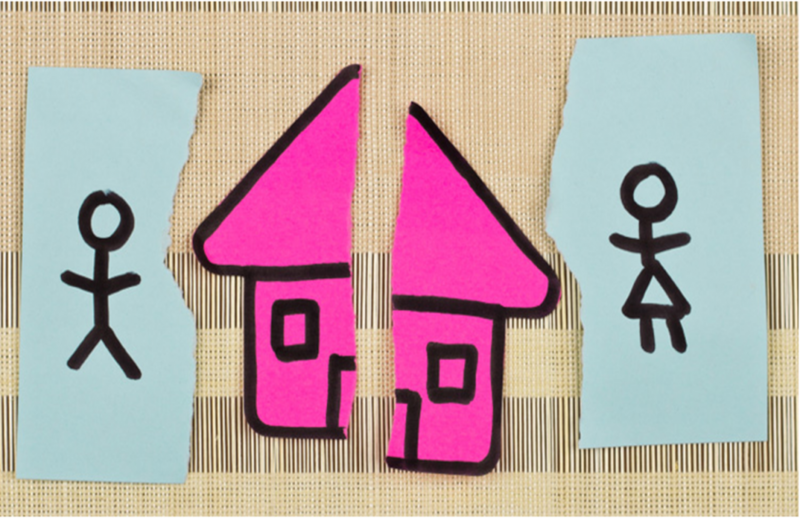 Where one party moves into a property owned solely by the other if they separate, whether after 2 weeks or 10 years, the party that moved into the property has no automatic legal right to a share of the property and certainly no right to personal maintenance from their partner even if they had always been supported financially. Take for example a couple where the house is in the sole name of the man and he meets all of the mortgage payments whilst the woman lives there and pays for all of the groceries, meals out and expensive holidays. Upon separation, strictly speaking the woman would have no entitlement whatsoever to the property that she once resided in and could find herself homeless overnight. Conversely, where cohabiting couples jointly purchase their home, according to the Law, the property will automatically be divided 50/50, even if one partner contributed more to its purchase price unless there is a specific written Legal Agreement at the time of the purchase, to say what proportion of the property they. Take for example a couple where the woman has inherited £200,000 from her late Great Aunt and purchases a property in the joint names of her and her partner who has no financial capital to contribute. If that couple separates 3 weeks, 3 years or 30 years later the starting point in Law would be that the man would be automatically entitled to half of the value of the property which would include the large inheritance invested by the woman. Despite frequent suggestions that the rights of cohabiting partners should be reconsidered, nothing has changed. Given the new trend of cohabitation, it is therefore more important than ever to seek early legal advice. Click “Join” if you wish to receive our newsletters and invites to our events. You can unsubscribe any time by emailing marketing@mincoffs.co.uk.